Looks like players enjoyed looking at a body, and disposing of herbs in Resident Evil 2. Upon booting up Resident Evil 2, even the 1-Shot Demo, You’re asked if you wish to share your play data with RE NET. What this does is adds your statistics to the growing stats page that can be found here. Well, in the first week there have been some pretty impressive stats. Only earlier I reported on the title being shipped 3 million times, but let’s look at how you players have been doing. These stats were last updated today in Japanese time, although our today is Japan’s January 30, and the time it was updated there was at 12am JST. According to the worldwide stats, 79% of players have chosen to play as Leon first when given the choice to choose between Leon or Claire. Leon has been played 1,997,560 times, with Claire being played 1,063,883 times. 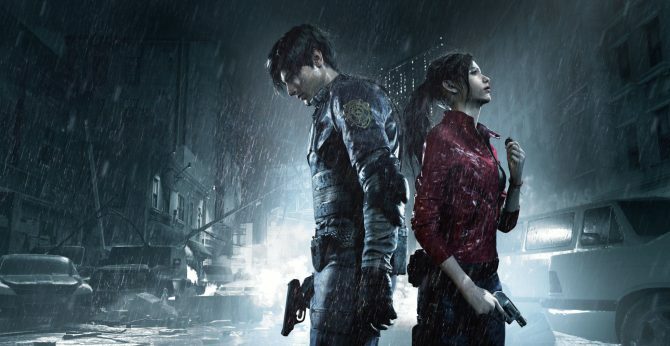 Those playing as Leon have cleared the game 590,367 times and Claire has survived 341,059 plays. As for how many hours players have played across the world, it’s sitting at a whopping 1854y 354d 22h 58m. This huge amount of time has also totted up players walking 46,343,818 km with 57,929,772,263 steps being taken. As for enemies killed, across the world, there have been 133,300,235 enemy deaths counted in Resident Evil 2. The population of Raccoon City is only 1,333. This consists of some 32,127tons of shots being fired, which according to Capcom’s site is the equivalent to 428,365,947 fireworks. Additionally, knife kills are totaled up to 19,058,631 kills. 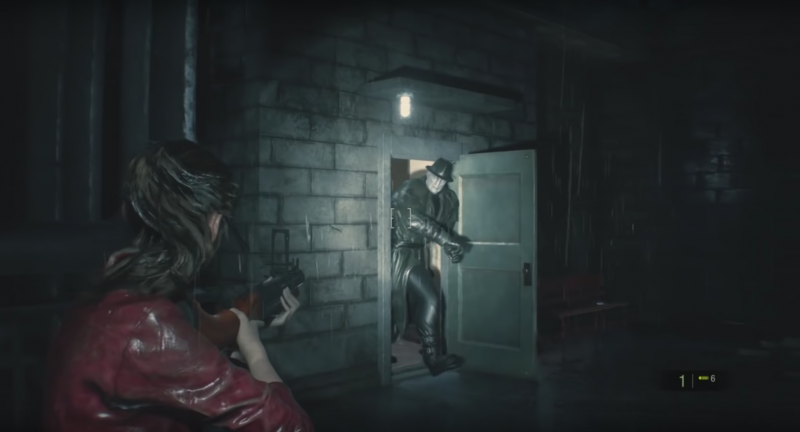 According to the Kill-Death rate of Leon and Claire, Leon’s ratio sits at 9.4 with a global kill count of 85,978,110 and a death count of 9,164,722. Claire’s k/d ratio is 13.7 with 37,847,915 kills and 2,759,424 deaths. Now, here come some of the weirder stats that Capcom felt was worth tracking. 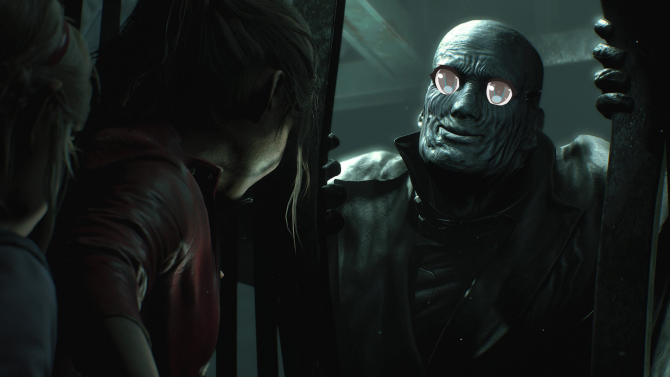 According to the stats, players in Resident Evil 2 chose to stare at the mayor’s daughters body…375,329 times. That’s equal to 23% of all players who have the RE NET sharing enabled. Players have also discarded 17,014,749 items, with 33% of those being sub-weapons. Even the Tyrant’s stalking distance has been tracking, coming in at 7,736,071km. But players are in the lead here as they’ve traveled, collectively, 12,277,279km in Resident Evil 2. And if you’ve wondered how long it took other players to solve a puzzle, it turns out that everyone’s stats combined leads to 53y 252d 18h 37m to solve puzzles. Phew, that’s not all either, there’s a bunch of other stats or some more detailed breakdowns for the above stats available over on the website. It’s certainly great fun being able to see how everyone’s efforts are counting towards a global statistic. It’ll be interesting to see how far this develops further down the line, especially with the upcoming Ghost Survivors DLC due to arrive soon. 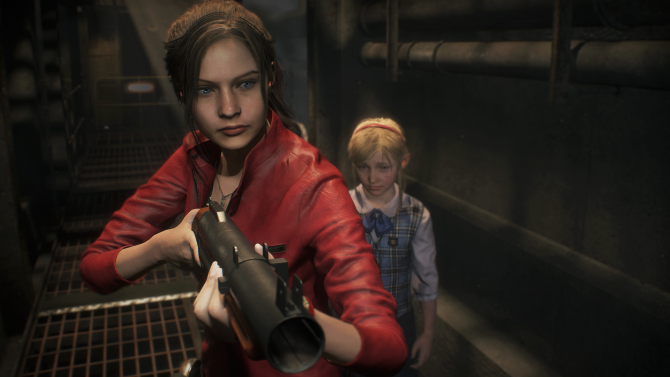 Resident Evil 2 is available now for PS4, Xbox One, and PC. If you want to help rake these statistics up some more, you may want to grab yourself a copy from Amazon.